First day back at Nursery today, after Christmas and New Year Celebrations. 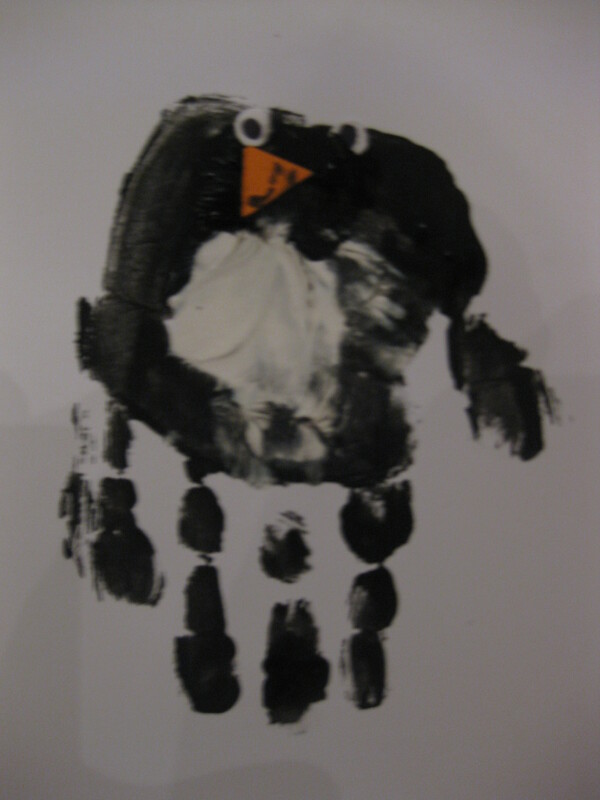 Penguin Printing was on the schedule. 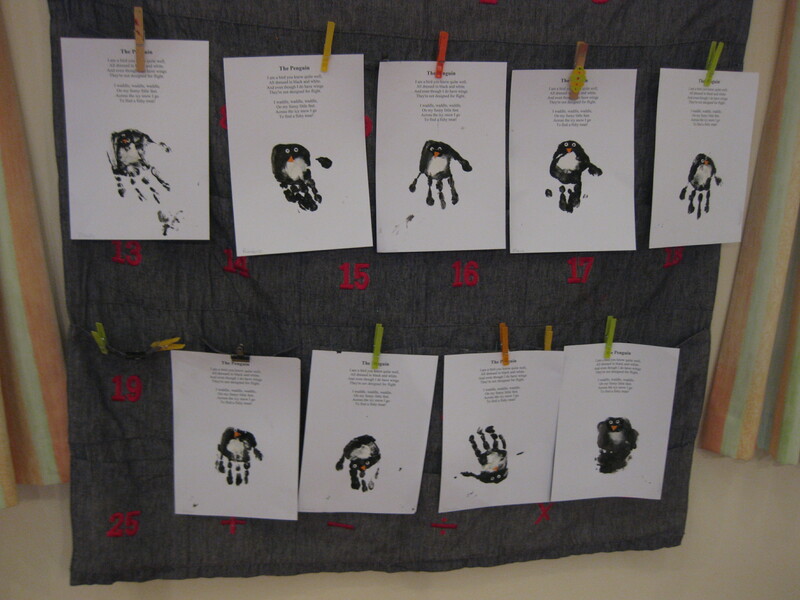 The children really loved this activity. Several were literally tickled by the paint brush on their hand! 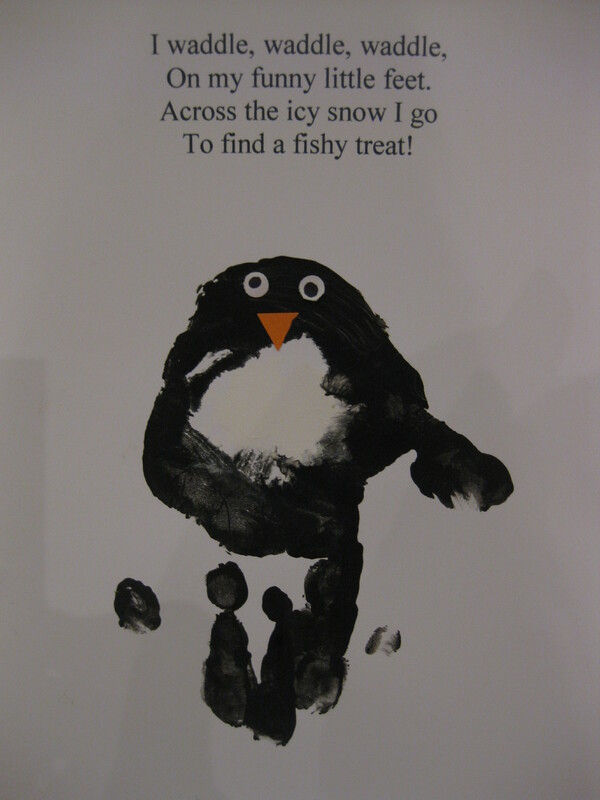 I read this lovely little poem out to the children which they all really enjoyed and it made them all eager to get printing their penguin! We had a real assortment of designs which was great. I used paper from my hole puncher for the eyes. I just dotted the middle of each with a permanent marker and then cut out some orange triangles for the beaks. 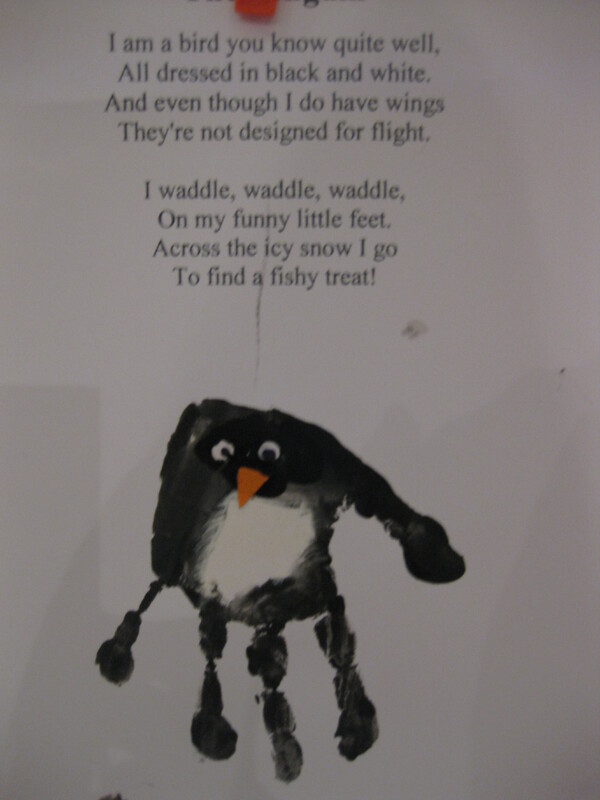 To be honest this was a little bit fiddly, even for the older children. However, no one minded dropping their eyes and having to pick them up and try again. 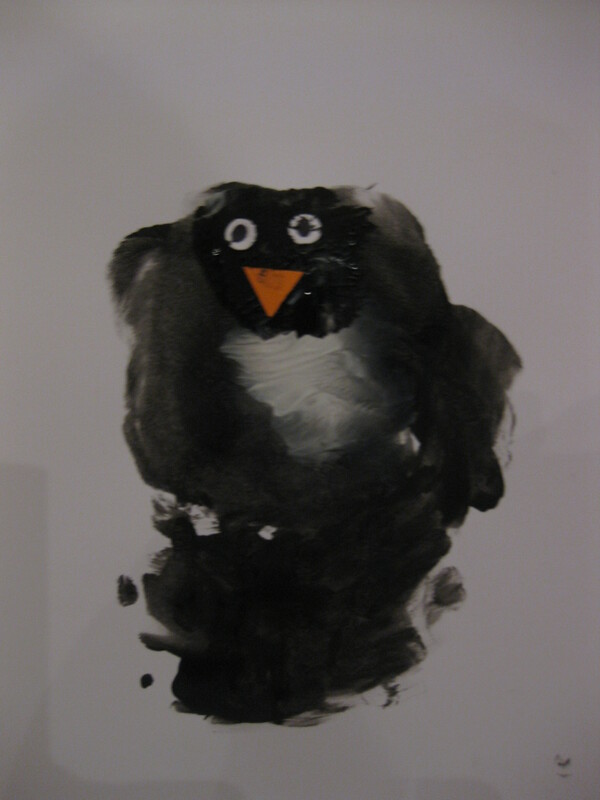 This little fella was a little smudged but really cute. Smudging him a little makes him look like a baby penguin. What do you call a baby penguin? I guess it’s a chick. 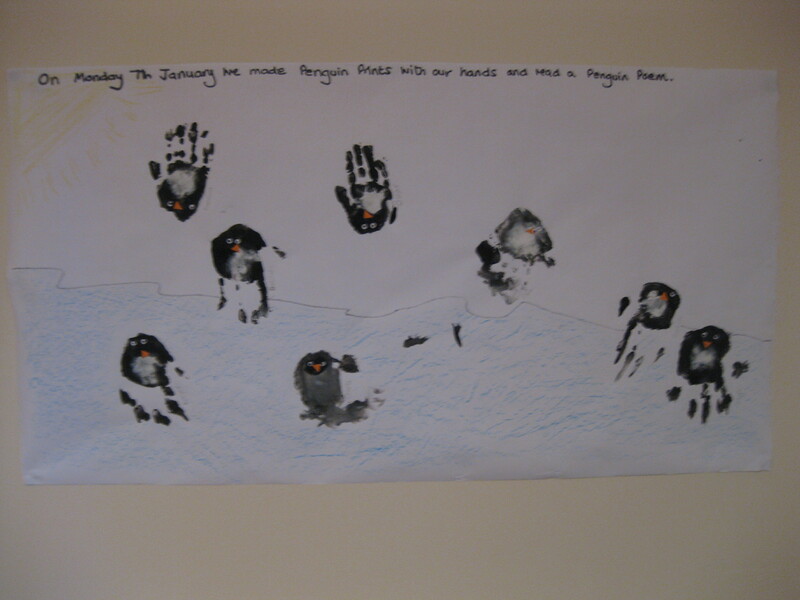 Did you know that a group of penguins is called a colony, a rookery or a waddle! If the group of penguins is floating in the ocean it is called a raft. Next week we’re making Mermaids and Mermen…………….